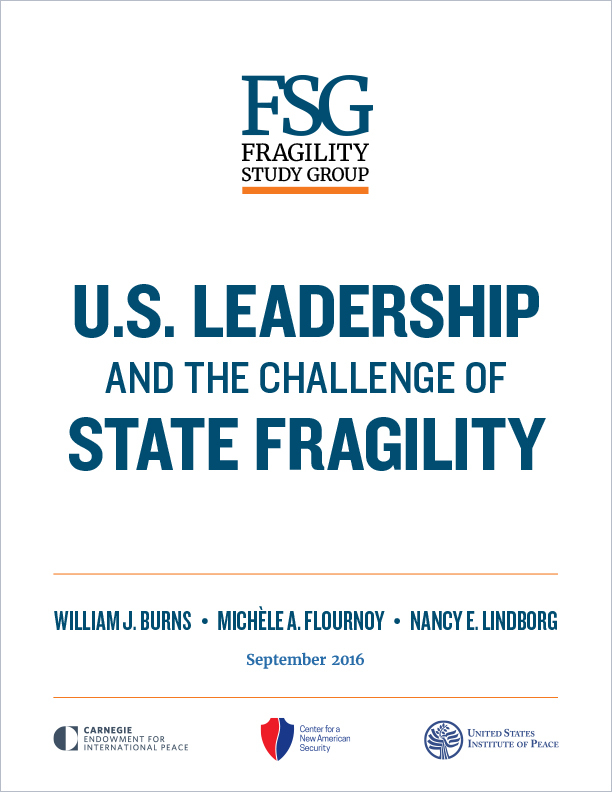 Fragile states may seem like a distant and abstract concern. They are not. They are at the center of much of today’s regional disorder and global upheaval. The new administration, a coming change in leadership at the United Nations, and an emerging global consensus about the fragility challenge make this an opportune moment to recalibrate our approach. The United States cannot and should not try to “fix” every fragile state. Nor can we ignore this challenge; all fragility has the potential to affect U.S. interests to some extent, especially when left to fester. There is simply too much at stake for our interests, our partners, and the global order. A sound and realistic policy framework is urgently needed to help our policymakers determine where, when, and how to invest scarce resources and attention to maximum effect. I stopped at "concentrate efforts where America's interest are greatest." Flournoy, a surrogate of HRA and a potential SECDEF, would plunge this country into more conflict and wreak more havoc across the globe than the Neocons could possibly imagine. I am engaged in a comparative-historical study of the relationship among population dislocation in the broadest sense -- internal and external displacement, some forms of migration, etc. -- governance (and governability) and world politics. The policy-relevant insights I draw at the midpoint of my work is that large-scale and long-term (years, rather than months) displacement or dislocation exacerbate whatever underlying problems may have been causes and lead to acute state and societal fragility that is difficult, if not impossible, to repair. It is important for the USA to recognize that we cannot export our system of government, since so much of who we are as a nation is related to our historical roots; our culture is different. Too, we have some big problems morally and culturally, and are seen in the world as being defective; people do not want the contemporary values of the USA. Thirdly, we need to recognize that to remove a dictator often means allowing someone worse being put in place, or, alack of order - chaos. Are the people of Afghanistan, Egypt,Iraq, or Libya celebrating? Fourth, when we DO intervene, we need to act decisively. Period. We have worried more about political fallout than we have results. Certainly I am not advocating an end-justifies-the-means approach, but, the current ROE in places like Afghanistan have prevented us from accomplishing nearly as much as we once were capable of. And, we need to understand that we are NOT capable of establishing a new system when people are afraid or unwilling as a nation to cooperate in the process. Finally, there is the matter of the heart. We cannot change that, yet, that is what is needed, and the only ,manner for doing so we avoid. There is no any more the so called American Leadership......the USA's foreign policy is going for a new Era " historical Scramble " ....the stupidity of foreign conduct has nothing to do with the American interests abroad......World today is running by multiple blocks.....who could be able to get out Russian forces from Syria ??? ?